Christmas time means a whole lot of parties and celebrations, one in particular that was celebrated all around the world was RayBan's 75th Anniversary meaning Aussie socialites were out in full force. Hosted at the new QT hotel in the heart of Sydney's CBD, the party had a cool urban edge with classic style. 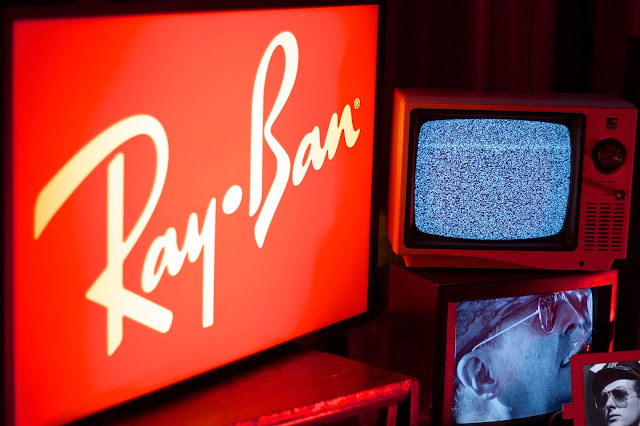 Retro televisions flashed iconic RayBan moments throughout the decades while we danced to the live tunes of Van She. Aviators and wayfarers were as far as the eye could see with everyone partying along holding their own personal piece of the story. and of course I hope I will own a pair of Ray-Bans someday in the future :P so far I've always chosen something else.. Prada, D&G, Armani.. Ray-Bans would be awesome too! Love Ray Bans. So versatile.